Airtel Browsing Trick is here for March 2019, this is so far the best Free Browsing on Airtel this Year. What this trick does is to Reverse your Purchased Airtel Data or Airtime so to speak for Free. 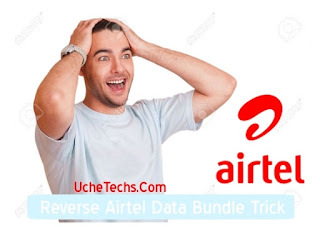 This Airtel Reversal Data Trick has been going on for weeks, right now, UcheTechs Blog has decided to reveal the procedure to you all. It will be good to know this Airtel Reversal Data Cheat doesn't support all Airtel Sim Cards, why? So Sims aren't eligible to receive Airtel Double Data nor Triple Data Offer, and this Airtel Browsing Cheat for March requires you to receive Data Bonus from Airtel. Airtel Nigeria launched a new service that allows users to reverse the money used in subscribing for a Data Bundle. So if you mistakenly purchased a Data Plan, you can reverse the Data Bundle Purchased so far you didn't touch the Data Bundle, this Airtel Data Reversal Cheat doesn't have an expiration date, you can reverse anytime. For Example, If you Purchased a Data Plan of 1.5GB for N1000 on your Airtel Sim, you can reverse the money and you'll get back your N1000 Airtel and lose the 1.5GB (Remember, you must now touch the Data). Also, this cool part is that Airtel Gives some users Double Data bonus and Triple Data Bonus, this doesn't get reversed. You should know where I am Going now. So If you Reverse any Airtel Data Bundle and you got a bonus Data of 1.5GB valid for a month for Purchasing a Plan, the 1.5GB can be used to browse Free without any limitation. This is the coolest thing happening this month from Nigeria ISP, let's see how to activate it. 2. 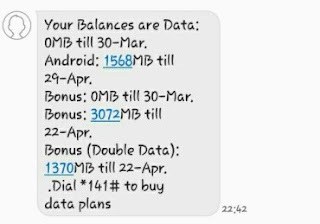 You should get a message from Airtel informing you it was successful + Showing all Bonus Data (If you didn't get, you ain't eligible). 3. 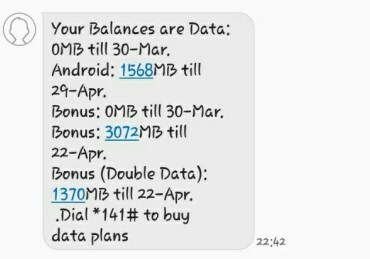 Now use the Bonus Data (Airtel Uses Bonus Data Before Main Data). Make sure to check your bonus data regularly. 4. After 24 hours from the time, you purchased a plan, Dail *121*6# to reverse the Airtel Data Bundle. The Data your purchased will be removed and by now, you should have been done with your bonus data, so repeat the steps again and enjoy Free Data From Airtel. For Question, Use Your Google Account to ask them below, thanks for visiting and don't forget to share using the below buttons. Okay, but today i haven't even finish the bonus data and they deducet from the main data, which makes it impossible to reverse the data again. Oh! How else can we browse for free or with little amount? How do i go about that bro?